Sports Rendezvous: Ranked! The 20 greatest World Cup kits EVER. Ranked! 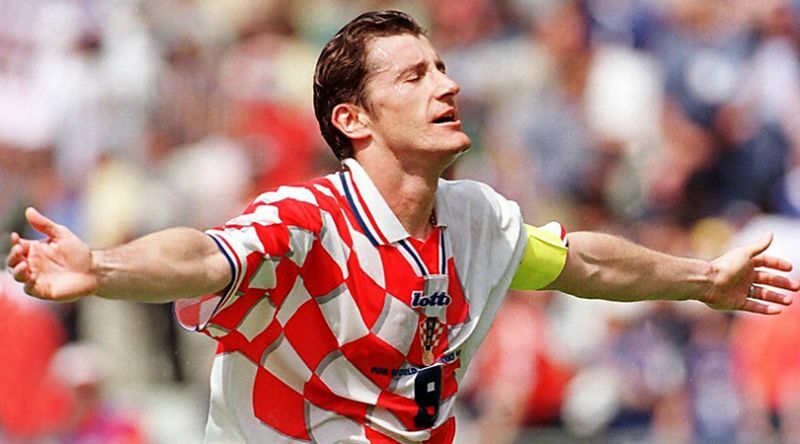 The 20 greatest World Cup kits EVER. Egg-chasing is an appalling spectacle (who wants to see twist-faced, cauliflower-eared, testes-tweaking lummoxes lying in big piles?) but the sole exception are the resplendent, Haka-yelling All Blacks. So the All Whites can be forgiven for travelling to South Africa with a backup kit that was basically a tribute to their more competent sporting brethren. Surely they should have put Richie McCaw on and pumped it up to the big man, too? After France and Hungary bowled up for their fixture with white kits, Les Bluesended up popping on the green-striped shirts of local lower-tier outfit Club Atletico Kimberley, who kindly passed on their tops to Platini & Co. It’s the only time a club strip has been used at a World Cup.